Jan 28, 2012 | colors, death, decay, full frame, glowing, graves, intensity, paint, red, textures, wet. 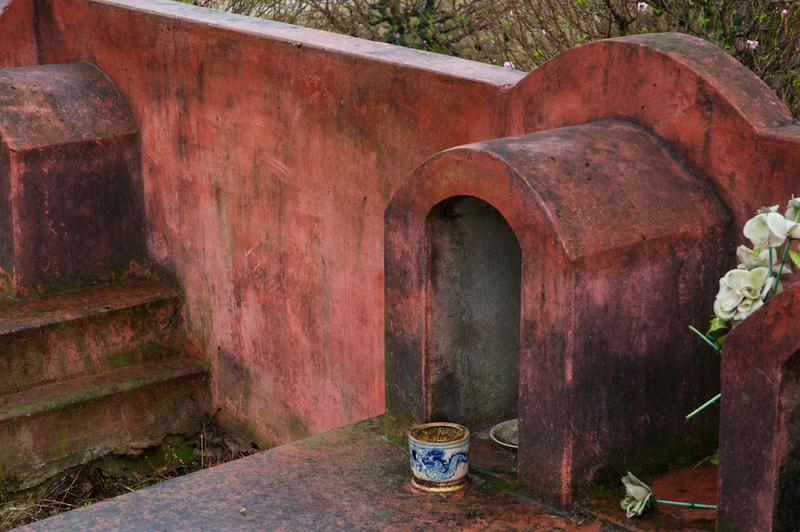 Intense colour on a family grave west of Hai Phong, in Vietnam. The faded paint has a majesty and depth that would have been missing if it was fresh and pristine.